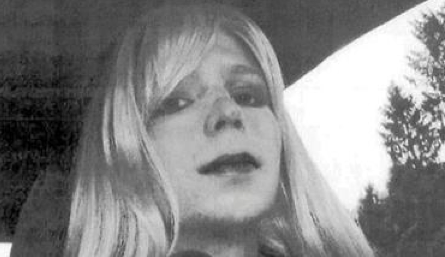 Abreu Report has recently begun an extensive examination of the diplomatic cables leaked by former US Army Private Chelsea Manning, who is currently serving a 35 year prison sentence in the United States for violating The Espionage Act -- passed during World War I and used to stifle dissent. A 2006 diplomatic cable drafted by former US Embassy political attaché Bainbridge Cowell detailing the reaction to the death of 25 Haitian nationals who suffocated in the back of a truck while being trafficked into the Dominican Republic, touches on the possibility that "an intervention [military] would seek to unify both sides of the island into a single state." Mr. Cowell's prescient cable, written in response to comments made by then President Leonel Fernandez alleging that a "Balkanization" of the Dominican Republic was taking place, foresaw "reform [to] the Dominican constitution... [from] birth on Dominican soil (jus solis) as the main rule for granting citizenship, with citizenship by blood (jus sanguinis) being an exception under some circumstances." The change in Dominican law, which took place in 2013 after an unappealable decision by the Constitutional Tribunal, was heavily criticized by the US, prompting fears that an invasion of the island similar to the ones in 1916 and 1965 could once again take place. Mr. Cowell goes on to describe Dominicans as having an "obsession" with the topic of Haitian migration, which he says is a "thorny issue." Mr. Cowell described the situation between the two nations as being "tense," but seems to largely agree with comments made by Mr. Fernandez - "[on the] possibility of confrontation or armed conflict between the two nations. "- that the risk was low. Mr. Cowell says that an article in the large circulation daily Diario Libre, El Problema Somos Nosotros [the problem is us,] in which the author argues that "the Dominican Republic suffers from a special fatalism," puts the situation "bluntly." The Diario Libre article criticizes attempts by Dominican farmers to bring in temporary workers, insisting instead that efforts should be made to hire Haitians already in the country, as opposed to bringing in new ones. 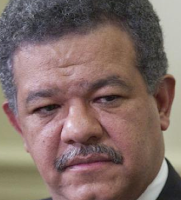 Fernandez was never able to implement the policies which the cable criticizes him for desiring, but the fact that the Dominican Republic has just this year done away with birthright citizenship indicates that the Bush regime had a much more firm hand on the Fernandez administration than the Obama State Department enjoys over the current Medina government. The current US ambassador to the Dominican Republic, Wally Brewster, is a married homosexual who is often the scorn of the island's right wing media and has been publicly accused by the Cardinal of Santo Domingo, Nicolas de Jesus Lopez Rodriguez, of conspiring to introduce the "homosexual agenda" into island life.